The imbedded You Tube video below tells one of many stories of how Senior Care Share will make caregiving easier for the members of its social network. As a niche social network, interactivity will be the core DNA within Senior Care Share — the social network for Canadian caregivers. One of the site’s key goals is to convert visitors into members of the network, who return to the site at least once a month and actively participate by reading, posting or responding to others’ posts in the various modules. To guide the conversation and discourage detractor/troll behaviour, new members will be directed to review the rules of engagement. These rules will be easily accessible and enforced by the site administer, as required. In the Q&A Discussion Forum, members can interact by posting practical questions about how to best care for their senior family member/loved one. These questions can cover daily care, healthcare or even seniors’ recreation/entertainment needs, such as: Does the Ontario government cover the cost of a walker? or Which Ontario entertainment venues provide hearing devices for seniors? Subsequently, members can interact by answering each other’s questions and posting relevant links/images. To steer the narrative and encourage dialogue (or even visits to the forum), the network administrator will monitor public affairs/ongoing news and regularly post timely, as well as mass-appeal, questions. The administrator will also seek and enter informed answers to many of the posted questions to grow the site’s appeal, particularly in its early days. Text prompts and compelling icons/buttons will also urge members to interact by clicking a button to ‘upvote’ answers or enter comments about others’ answers. The upvoting functionality will tactfully help streamline content toward practical useful information versus bursts of emotion. Members visiting the Ranking Seniors’ Accommodation module will interact by ranking seniors’ accommodations, according to various criteria, and providing comments, based on their own experience. Members will also be encouraged to click a button to highlight helpful reviews . To direct engagement and give members ideas, major seniors’ facilities will be pre-entered in the module and text will prompt members to evaluate them. Members will also be able to add facilities that aren’t pre-listed. To further entice members to engage and build the site’s preliminary content, Senior Care Share’s staff will recruit and nurture site advocates. These advocates will be encouraged and rewarded (through ‘social’ credibility and other incentives) to enter accommodation reviews related to their experience or participate in the Q&A module. As appropriate, the site will also include feature articles and interactive tools that offer ‘evergreen’ information for caregivers. One tool might be a wizard to help caregivers identify the correct battery for their loved one’s hearing aid — as getting the right match is imperative but this information is not prevalent. Other tools/wizards can be developed based on Q&As posted on the site. 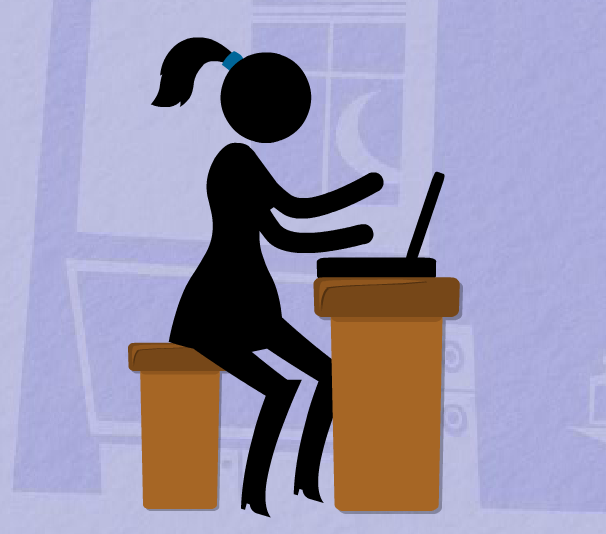 Note: Illustration from PowToon application file.